There is no denying that the Turkish real estate has been at one of its lowest points, following the coup attempt, and other attacks in the country in 2015-16. What this has done to the real estate in the country is a send away the foreign investors. It is the local demand that is sustaining the country’s real estate. It is only now that signs of revival are sprouting. Most of the foreigners who choose to live in this Mediterranean nation hail from Russia, Iraq, Kuwait, or Saudi Arabia. Their lifestyles dictate their preferences. Russians may look for apartments in Turkey for sale, while investors from Middle Eastern countries would look for cheap villas in Turkey for sale at this juncture. Analytics indicate that investors form the Middle East tend to focus on properties around the new Istanbul Airport region such as Catalca, Arnavutkoy, Durusu, Karaburun, Akpinar It is understandable considering that they can hop in and out of the country to their homelands far more easily instead of living in the heart of the city. More often than not, these Middle East investors also do not look at properties in Turkey as regular return fetching investments, though they would be fine with letting the properties out to vacationing tourists. The target market of the investment therefore dictates the location preferences. The lifestyle and eventual intended usage will have their say. 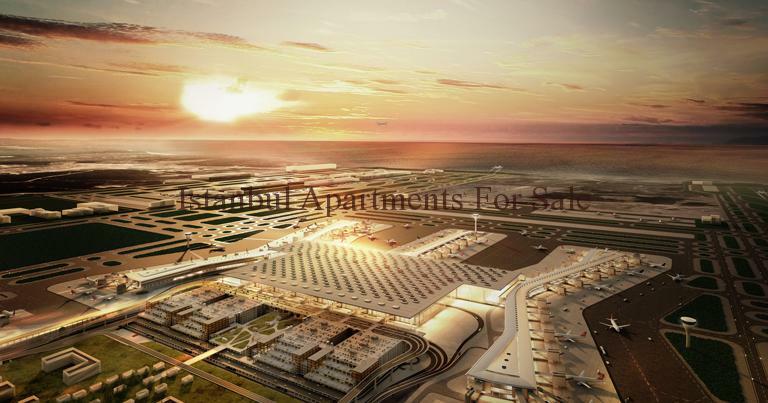 Considering such factors, the prices of real estate properties around the New Istanbul Airport area seem to be on the higher side, when compared to some other regions in Istanbul, which seem to be better in terms of infrastructure and amenities. It is, therefore, a bonanza for people looking to buy real estate in such places as prices continue to be low and yet returns are considerably high.